On Tuesday night, Udinese, the third best team in Italy, lost their Champions League qualifier to Braga on penalties. The result leaves just two Italian teams, AC Milan and Juventus, in the 32-club pool that kicks off Europe’s premier competition next month. Ironically, the penalty miss that effectively eliminated Udinese was a failed “Panenka,” a disastrous rendition of the technique that Andrea Pirlo executed perfectly in Italy’s penalty-shootout win over England at Euro 2012. Italy’s sweetest international moment since the 2006 World Cup resurfaced only to underline the symbolic culmination of years of domestic decline. Of course, decline is a relative term. If you offered the current state of the Serie A (millions of viewers, still producing top-class players) to even the most fiercely optimistic fan of MLS (thousands of viewers, still producing a whole lot of rubbish), he would take it in an instant. But after years of constant success, Italy’s predicament feels a whole lot worse than anything MLS has ever had to cope with. Consider this: in the last seven years, Serie A has been rocked by two high-profile match-fixing scandals, the most recent of which brought league-championship-winning manager Antonio Conte a ten-month suspension. Two years ago, Italy dropped below Germany in the UEFA coefficient rankings and lost a Champions League spot. Inter Milan, European champions in 2010, finished sixth last season. This year, Portugal is sending three representatives to the Champions League, while Italy is sending only two. Meanwhile, in Spain, Barcelona is producing epic, era-defining football, and the national team is winning World Cups. In July’s European Championships final, Spain beat Italy 4-0. The smallest club in the world’s most famous football league has pulled off more great escapes than Harry Houdini and Steve McQueen combined. 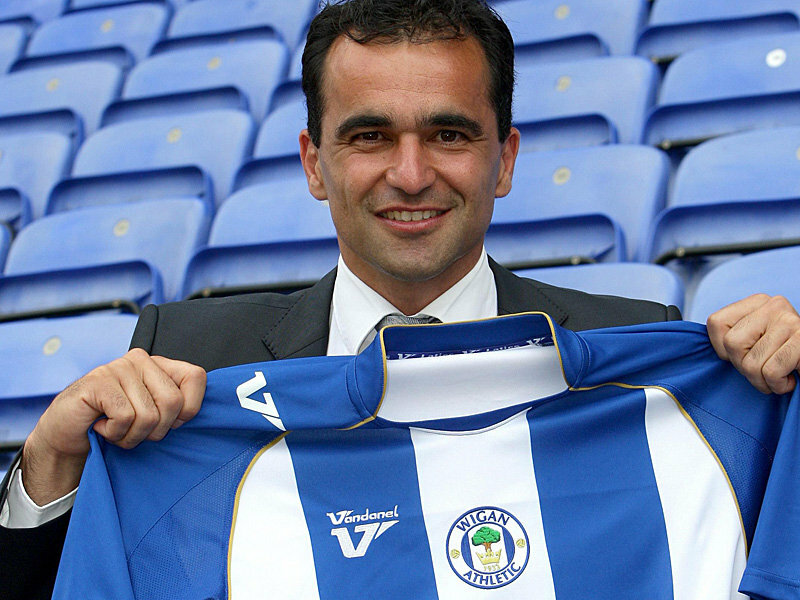 The Premier League has never been kind to so-called little guys, but, then again, Wigan Athletic – the team from rugby-ville that plays in a half-empty stadium – has never been especially kind to the Premier League. These days, Wigan is irresistibly surreal, a mix of old-fashioned virtues and modern flare, like a 1930s Ford masquerading as Barcelona on wheels. Wigan is fundamentally unattractive. It’s not that it’s an ugly part of the world, though it is, nor that it’s never boasted an established football team, though it hasn’t, but that a kind of glorified boredom hangs over the place. In Wigan, you suspect, it always rains, even during the Olympics. Current West Ham midfielder Mohamed Diame says the town is “crappy” and the girls aren’t great either. Wigan has always been associated with the classic meat pie, a footballing delicacy that has little to do with actual meat but is nevertheless the food item every proper fan eats at half time. The place is a shithole – only you can’t help but feel affection for it. Occasionally, it’s possible for traditionally weak teams to break into the top tier; however, such maneuvers require the type of money that Chelsea, traditionally a promising but never truly successful club, has enjoyed since 2003, when Russian billionaire and celebrity yacht-owner Roman Abramovich decided, virtually on a whim, that he rather liked Stamford Bridge. After a couple of seasons of steady investment, self-proclaimed “Special One” Jose Mourinho secured Abramovich’s team the Premier League title. And last year, after numerous failed attempts, Chelsea became the first London club to win the Champions League, or European Cup — as it was known before a certain fascination with the green stuff necessitated a rebranding. The 1970 World Cup was almost a religious experience. The tournament has gone down in football history as the greatest, most exhilarating exhibition of attacking play ever, and anyone who dares to say otherwise, or so the argument goes, is either “too young to remember” or “too fickle to be taken seriously.” This was the stage on which Brazil’s legendary striker Pele redefined the game, playing football with more exuberance and creativity than anyone before or since. It was the moment when the cult of the Brazilian – football’s worship of anyone with decent ball skills and a life story that starts with kicking soda cans in a favela – took root. When non-football fans think about football, they generally think about Brazil. That has a lot to do with Pele, arguably the best player of all-time, and – largely because he devoted the last three or four years of his career to self-promotion – a recognizable star. People still love him even though, in the years since 1977, when his playing career formally ended with his second retirement, he’s demonstrated just how banal a retired athlete with guaranteed lifetime fame and a cushy administrative position can be. His post-career achievements include winning FIFA’s Player of the Century gong amid controversy – it took official intervention to stop Diego Maradona from walking away with the title – and deflecting criminal charges after his company robbed UNICEF. 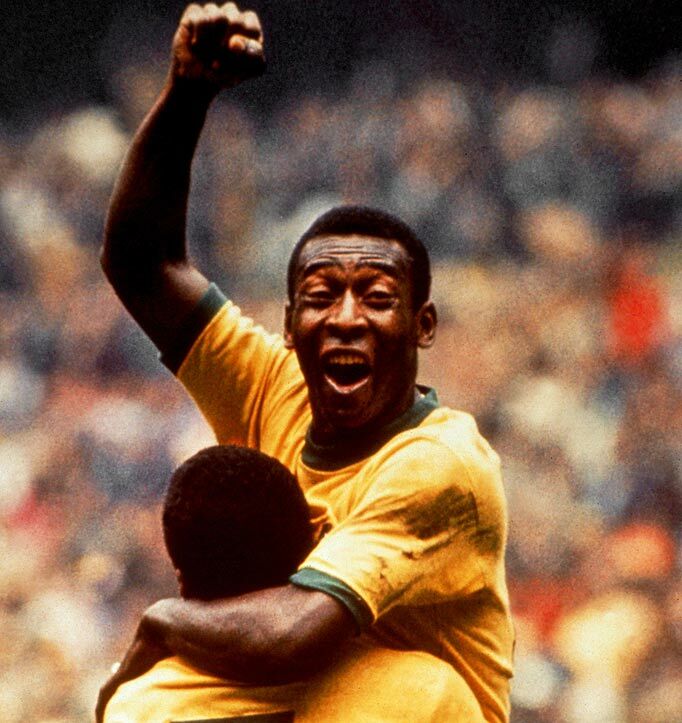 Still, clips of his greatest goals are a must for any TV montage worth its salt, and the image of a shirtless Pele lifting the World Cup is one of football’s most iconic. Every August, one week before Premier League kickoff, the previous season’s FA Cup winner faces off against the reigning league champion in the FA Community Shield. Manchester United has won the annual curtain-raiser 19 times, more often than any other team, but Sir Alex Ferguson, who engineered half of those triumphs, doesn’t consider it a legitimate trophy. (Then again, Fergie can afford to dismiss ten victories; he’s the game’s most decorated coach.) The Community Shield is probably the most ambiguous thing football has ever produced, and, in a sport that still hasn’t settled the handball rule, that’s saying something. Originally, the Community Shield wasn’t the Community Shield at all; it was the Sheriff of London Charity Shield, and instead of pitting two money-grubbing big-time teams against each other in a sponsored-by-McDonald’s spectacle, it served as a 90-minute diplomatic necessity, fought between a team from the Amateur Football Association and one of its professional counterparts. Scottish whiskey distiller Baron Dewar, an early promotional expert who also founded the Theatrical Sports Five Miles Cycling Championship Shield, is credited with conceiving the event. The first-ever Sheriff of London Charity Shield match finished in a tie: at the end of regulation, Sheffield United (the professional representative) and Corinthians (the amateur representative) had each scored a single goal. With United unwilling to play extra time, the two teams elected to “share” the six-foot trophy. It was all a far cry from Mickey D’s. Marko Marin is not an elfin warrior. The pint-sized, blond German international may look more like an extra from a Lord of the Rings movie than a professional footballer, but his flashy talents have nothing to do with Middle Earth. Indeed, from the point of view of Chelsea’s many rivals, Marin and his fellow new signings, Oscar and Eden Hazard, are a little too real; their arrival at Stamford Bridge marks the beginning of an aggressive new era. Over the past three seasons, Manchester City’s owners have routinely outperformed Roman Abramovich in the indulgent-spending stakes. 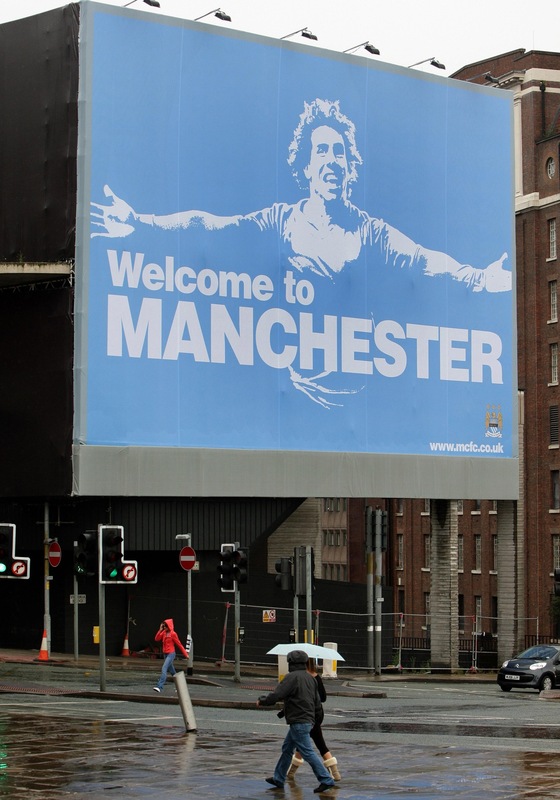 That gradual power shift culminated in City’s Premier League title success. Now Abramovich is biting back. While City triumphed in England last season, Chelsea saved their champagne for the Champions League final. The Blues’ undeserved yet brilliantly cathartic penalty shoot-out win over Bayern Munich — in Bayern’s home stadium, no less — capped a turbulent season replete with managerial controversy and several dressing-room revolts. Many critics dismissed Chelsea’s triumph, however, claiming the team had won the tournament by “parking the bus” and playing “catenaccio” (By the way, this is one of my pet peeves. Catenaccio is not a synonym for “defensive.” It is a system built around a sweeper and man-marking, two tactical devices that are almost obsolete in modern football). 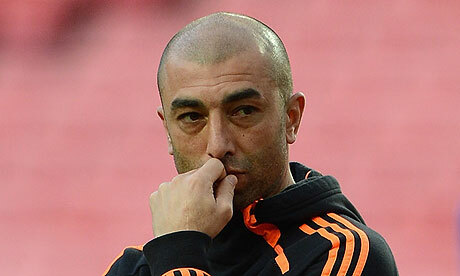 Some even went as far as to blame Di Matteo’s Italian ancestry.